Escalating land costs in the vicinity of 45 Amber Road and Raintree Gardens prompt us to raise ASPs for these UOL projects. With higher replacement costs of inventories, we expect UOL and other developers to raise ASPs progressively to maximise returns. Despite the valuation upgrades, we trim our RNAV to SGD10.93 (from SGD11.03) after factoring in new shares issued from its share swap with Haw Par and dividend reinvestment programme. 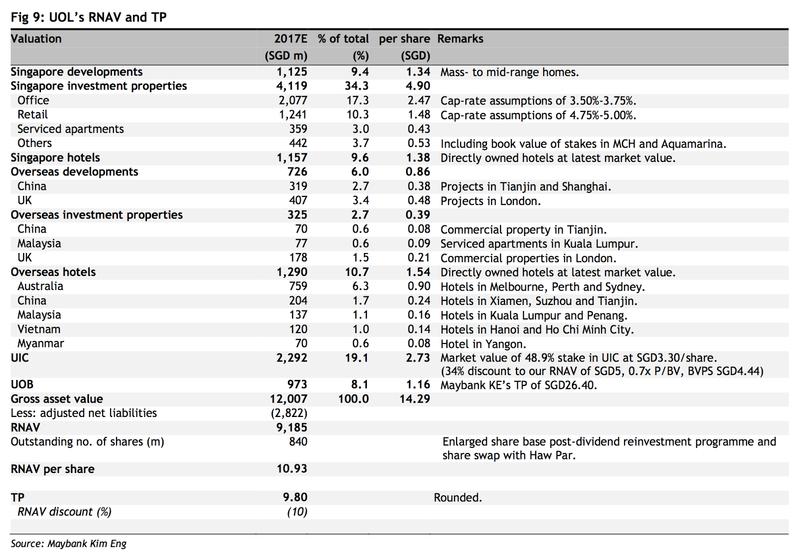 Nonetheless, we raise TP to SGD9.80 (from SGD9.43) after applying a narrower RNAV discount of 10% (from 15%). Maintain BUY with catalysts expected from a property price rebound. UOL has been ahead of the curve in acquiring development land. Riding on the success of Botanique at Bartley, it acquired the Raintree Gardens site on the cheap in late 2016. Since then, land prices have moved up significantly, with a SingHaiYi JV paying 66% higher for Sun Rosier. Similarly, escalating land prices along the east coast over the past year now makes 45 Amber Road look cheap. Reflecting the above, we raise ASPs for Raintree Gardens and 45 Amber Road by 4-5% to SGD1,650 and 1,900 psf respectively. UOL announced its successful bid for Nanak Mansions recently. It will take a 50% stake in this redevelopment project. Kheng Leong, a private vehicle of the Wee family, will take the other 50%. The SGD201.1m price tag translates to a land price of SGD1,427 psf ppr, including development charges. Potential GFA is 153k sf. Total saleable area could potentially be upsized by 9% if it successfully acquires an adjacent road. 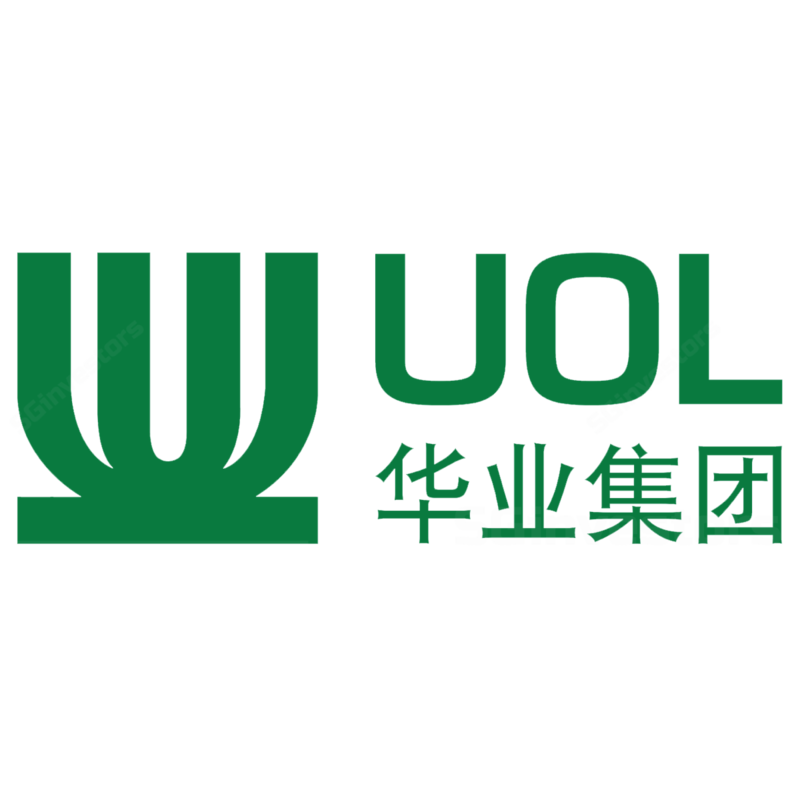 After its recent share swap with Haw Par, UOL now owns 48.9% of UIC. As the “creep rule” continues to apply, it cannot acquire more than 1% of UIC shares every six months without triggering a general offer. Once UOL’s stake crosses 50%, it can then freely acquire. Crossing the halfway mark will also give it statutory control of UIC and its properties. With escalating prices for prime commercial land and properties, we continue to see UIC as a less-risky and cheaper avenue for value creation.